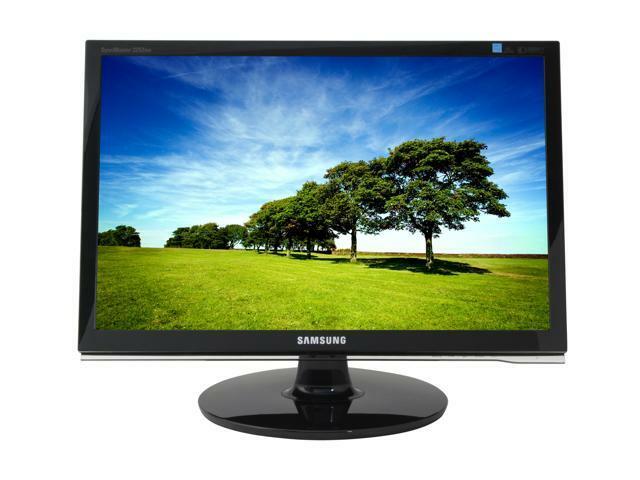 I went with the 22" Samsung 2253BW from Newegg. It came out to $249, after a mail in rebate. I ordered it Saturday and it arrived Monday afternoon, with their free 3 day shipping. I did spring for rush delivery, which added $2.99 I think. Not sure if that actually got it here faster though. No complaints with Newegg, in fact I will likely use them again. Thanks go to Snafzg for the recommendation. The resolution of the monitor is 1680 x 1050 and 16:9. My previous monitor was 1280 x 1024 and 4:3. I must say, this monitor seems freakin huge! I was close to getting a 24" monitor that could do 1900 x 1200, but now I know, it would have been way too big. Some people will say, it can never be too big! Sometimes they are right, but when it is 2.5 feet away from your face size can be an issue. Hrm, that didn't really sound right. The first thing I noticed with the monitor is how bright it was. I don't know if it was actually bright, or my old monitor was just dim. I had a tough time even looking directly at it. I debated making one of those cardboard eclipse viewing devices we made in school, but deceided to lower the brightness instead. DynamicContrast is one of the features of the monitor. It allows for an 8000:1 contrast ratio (read: better blacks) while the normal setting is 1000:1. I tried this out, but it seems much too bright. I hate not to use a big feature of the monitor, so I will have to go back and try it again sometime. Since Mythic is being stingy with the beta invites, I fired up WoW to try out the new monitor. I was quite impressed with how much better the world looked with the higher resolution and wider screen. With my old monitor, I was running everything at High, but the monitor did make a big difference. I don't know how I got by with an 18" 4:3 now. So far I am quite happy with my purchase, especially for the price. On the other hand. Desctruction players are put at yet another disadvantage. I await cries of "Nerf Werits monitor!" Seriously, between this monitor and my new video card, the difference in graphics is like night and day compared to my old system. I used to complain how crappy WAR looked to another of my friends in beta and he had no idea WTF I was talking about. He said it looks so colourful and amazing. Which brightness/MagicBright setting are you using? I was going back and forth, but it would have been just too big. 2 inches add a lot of screen space. More screen-space always makes me happy. =) More words and windows on the screen at once. Multiple docs open. Hell, I'll get two monitors.